You are here: Home / Why Own a Home in Fusion South Bay? 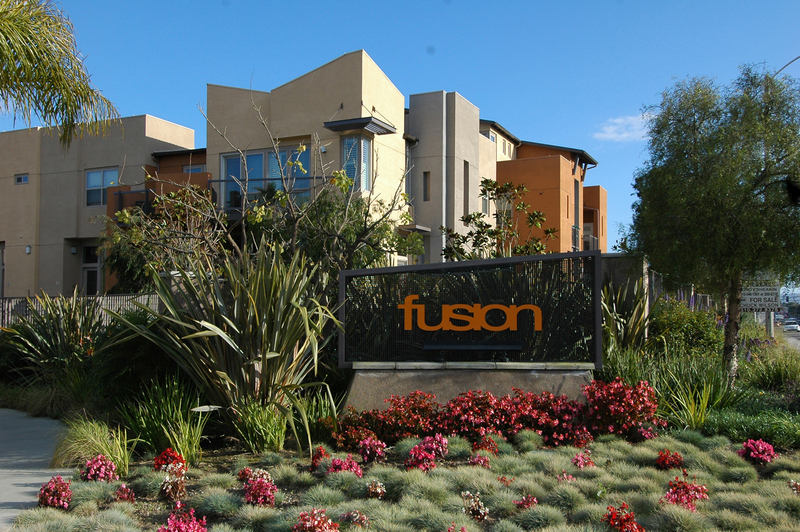 Why Own a Home in Fusion South Bay? Fusion South Bay is a rarity in the South Bay. With undeveloped land almost unheard of there are simply no places to build new housing developements. 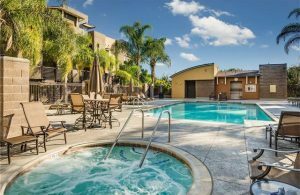 While new construction single family and small townhome complexes are all the rage in this hyper active real estate market, larger complexes are a different animal altogether. 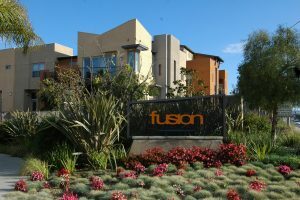 Fusion South Bay was built on former industrial land and, along with 360 South Bay, offers one of the only newer community in the area. What makes Fusion so ideal is the combination of location (just east of Manhattan Beach and a short drive to the beach) price, and age. As the homes were built around 2006 and 2007 they offer the feel of new construction with contemporary architecture and many of the updated features that home buyers are looking for such as air conditioning, granite counters, open layouts and more. Price: Fusion is a great alternative to neighboring communities as you get far more for your money. Something of a similar age in Redondo Beach could be $150K or more higher than Fusion. As of this post the smallest 2 bedrooms which are the A and B floorplans start in the low $600,000 with the larger 3 bedroom J units selling over $800,000. Homes in 360 South Bay are priced well above that and HOA dues in Fusion are also considerably less at just around $200 a month. Age: While there are plenty of new 2 and 3 on a lot townhomes in Redondo Beach the prices for those units have reached an all time high. Fusion condos and townhomes gives that same feeling of mondern construction as a much lower price. While each home is different with some builder upgrades in most but not all, the homes still have all of the modern features most people are looking for. For buyers feeling priced out of the South Bay cities of Manhattan Beach, Hermosa, El Segundo and Redondo Beach, Fusion South Bay is a great alternative. See the current Fusion homes for sale or contact us for more information about this great community.